Very classic and romantic. From small hurricanes to floor candlesticks,our candle centerpieces are with a wide range of styles for votive candle/tea light candle/jar candles/pillars and more. To protect the crystal,we suggest to clean with soft and dry cloth. Very classic and romantic. 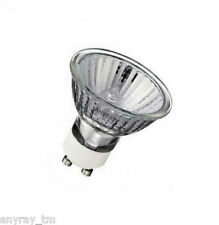 Crystal beads with high clarity and adopt eight-sided cutting technology to make it more sparking under lighting. Which is sparkling shining brightly with flashes of light, like real Jewelry.Scatter them across a table and feel like you're dining among diamonds. From small hurricanes to floor candlesticks,our candle centerpieces are with a wide range of styles for votive candle/tea light candle/jar candles/pillars and more. To protect the crystal,we suggest to clean with soft and dry cloth. 10 Scentsy Pumpkin Wax Bars, 4 Pumpkin Scents!! FREE SHIPPING IN CANADA!!! Material: Rhinestone. Decorate your tabletop beautifully and affordably for party and special occasions. We will do our best to solve your problem. Due to the difference between different monitors, the picture may not reflect the actual color of the item. Candles make dinners elegant, evenings romantic, power outages exciting, and dorm rooms cozier. Though candle-lovers may have different reasons for choosing candlelight, most agree that both candlestick decor and candle safety matter. 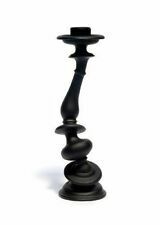 There are a variety of candlestick holders available to suit your needs. What types of candle holders are there? 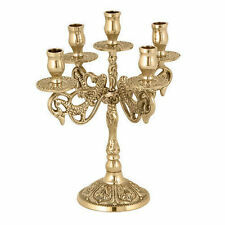 Candelabra - A candelabra is a multi-stemmed candle holder. Candelabras are often made of metal, like iron or silver. Candleabrum - A single-stemmed candle holder is sometimes called a candelabrum, but this term is a bit old-fashioned. Another old-fashioned term for a candle holder is a chamberstick. 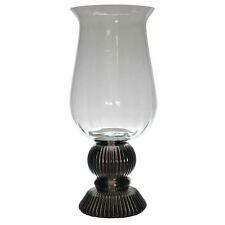 Hurricane Lamp - Hurricane lamps are made of open-topped glass bulbs that are placed on a sturdy metal base. Candles are held in place and the flame is protected by the glass shell. 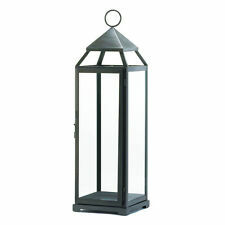 Lantern - Candles are enclosed on all sides by metal- or wood-framed glass. Frames are joined at the top of the holder where they create a type of handle. Candlestick - Candlesticks are technologically simple in that they hold a single stick candle. In terms of decor, candlesticks can be shaped like anything from a skull to a simple metal cup. Are candles in mason jars safe? Mason jars are not intended to hold candles and though the likelihood of the glass jar cracking is relatively small, there are safer options. Glass candle holders, including votive, hurricane lamps, lanterns, and candlesticks are designed to withstand heat without cracking. How long can candles burn? Pillar candles are meant to burn for no less than four hours. Smaller stick candles are usually burned for shorter amounts of time. 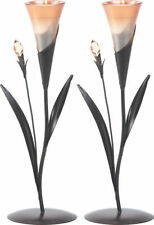 Remember to choose a candleholder that is suited for your candle preference as well as your decor. Avoid lighting pillars in enclosed candleholders, like lanterns. Trapped heat will melt the pillar's wax. How tall should candle holders be? When used in formal decor, the candle holder's dimensions are essential. 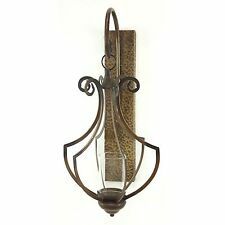 Candle holder collections ensure that all candle holders match in appearance, but holders won't necessarily match in height. Grouping candlesticks in sets of three, with varying heights, creates a warm ambiance. Tall, uniformly placed, narrow tapers are often seen on formal dining tables. Formal colours like white and black are also appropriate in these table settings. Living rooms are perfect for pillars seated on metal holders. What are the different kinds of glass candle holders? Glass holders are available in pretty much any style. Holders can be tiny, like those found in tealights or votive styles, but they can also be quite large, like glass lanterns. Glass takes on many shapes and styles. Some of these include glass candlesticks, glass candelabras and simple glass jar collections that hold a single pillar, to white, frosted glass tapers. What happens when candles burn all the way down? Wax will likely spill over. Whether metal, glass, ceramic, or other material, candleholders cannot wax is likely to spill over onto tables. The wick may also begin to bend, which is why some metal and gold candle holders have a saucer-like base.